Dental implants are long-term prosthetic devices designed to take the place of one or more missing teeth. These devices look just like natural teeth, and nobody will notice that you have received this type of procedure. Implants have become the gold standard of care for replacing missing teeth. If you have lost a tooth because of decay or an injury, an implant can replace it. You may also receive an implant to replace a tooth that was damaged because of a natural defect. If you have lost most or all of your natural teeth, getting several implants can be an alternative to dentures or bridges. You may be a candidate for the implant procedure if your jaw has reached its mature size and you are in good overall health. 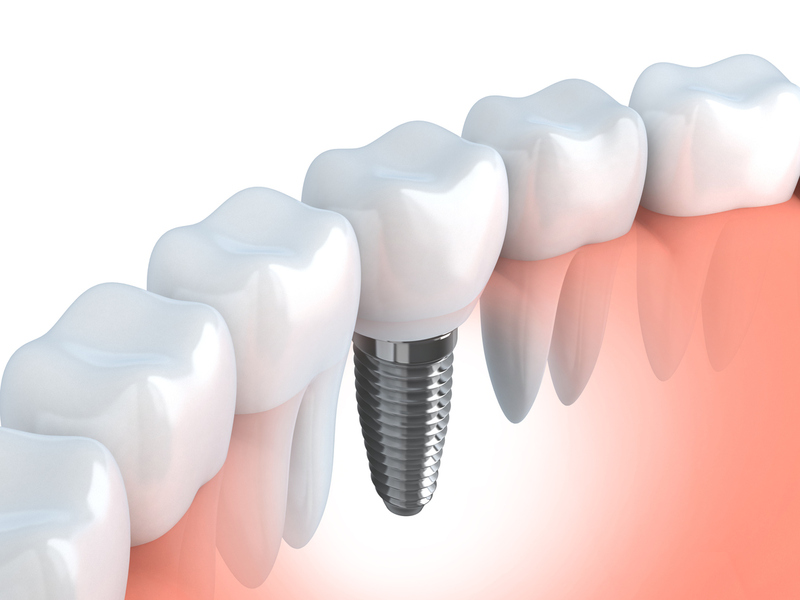 In the first stage of the implant procedure, your dentist implants the titanium post into your jaw. The second stage is the healing process. Your body grows new bone cells around the post, which is called osteointegration. In the third phase, the permanent artificial crown is attached to the titanium post. When you have a missing tooth, you might not be able to chew your food well. Replacing the missing tooth allows you to enjoy full functionality of your mouth. You may also feel an increased sense of confidence about how you look. Implants are designed for long-term use and are safe. They have been in use for more than 40 years and have a high success rate. Most people find that the stability and security of the implant is comfortable. Contact Cam Kesteven, DDS, the natural choice for your dental implant procedure.